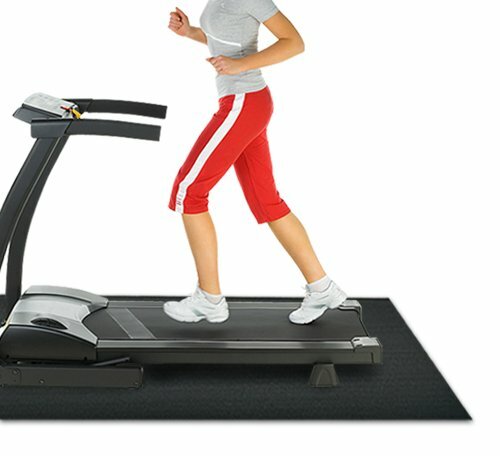 Treadmill mats are very commonly forgotten when people purchase a new treadmill. Sadly, when they get home, set up their new fitness equipment, and start using it, they then realize that they forgot a very important accessory. Treadmill mats are useful for many reasons and are one of the most financially sound investments for any treadmill owner. The cost of a mat for treadmills is not expensive but is determined by the size, thickness, and material. 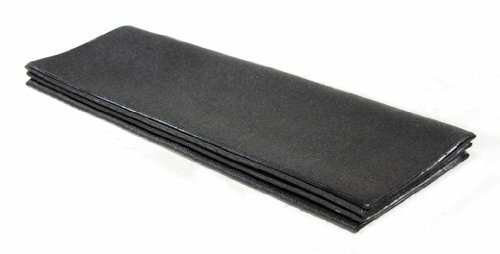 This rubber equipment mat is available in a 3/16-inch thickness in two sizes: 4 ft. by 6.5 ft. and 4 ft. by 7.5 ft. This mat for treadmill machines is will cover the footprint of most home or commercial treadmills. This is the most durable and sturdy treadmill mat in the market today. This mat is nice and thick, and it protects the carpet under your treadmill. it is very durable and fits your treadmill nicely. It is for protecting floors from unsightly blemishes and scuffs,and it does best works with stationary bikes, elliptical trainers, rowing machines, home gyms, and more. A treadmill mat is not only a safety device meant to protect the floor but also a safety device to keep the treadmill from sliding around. This type of mat provides stability, as treadmills tend to vibrate from the belt mechanism and slide around a bit. 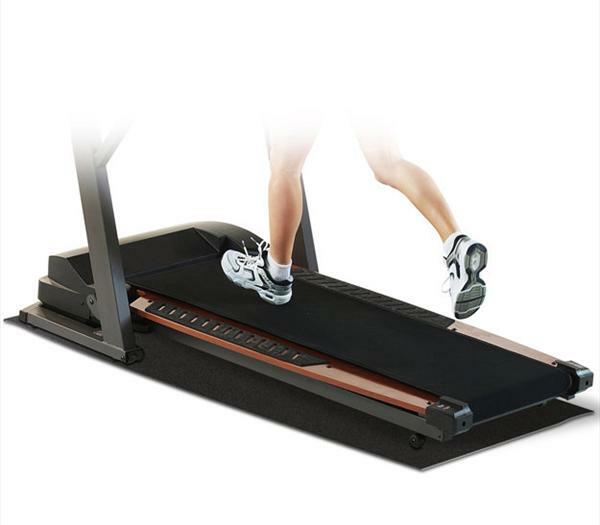 It will prevent the treadmill from moving around and keep the user from being jolted off. 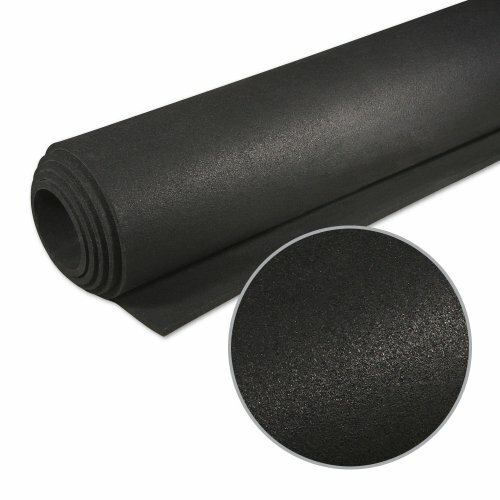 These mats also protect the floor underneath from being scratched from the motion and from being warped or marred from the heat that the treadmill generates. They also absorbs some of the vibration that is created by the belt mechanism and keeps the area that treadmill is located in quieter. Without proper padding, even small usage on a treadmill can wreak havoc on someone’s floor, especially if that floor is wood or laminate. Even carpet floors can be destroyed by the used of a treadmill. Since no type of flooring is cheaper than $50, it makes sense to pay for that ounce of prevention up front. The only exception to this would be if you are placing the equipment directly on a concrete floor–then you don’t have to worry about the floor, but you do have to worry about the condition of the treadmill. The best treadmill mats also provide cushioning and care for the treadmill itself, especially for heavy users. A good 3/4 inch thick treadmill mat can do wonders for keeping the treadmill balanced and will help reduce wear and tear that is inevitable over time to the machine. Nothing is worse than having a wonderful treadmill break down or be wobbly as you run because it has become warped over time. For this reason it’s best to get a mat for your treadmill no matter where you will be placing it.